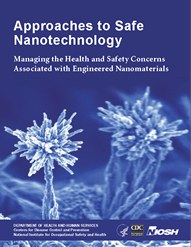 As the expansion of the use of nanomaterials in industry continues, so does the increasing need to study the potential health effects that are associated with exposure. The National Institute of Environmental Health Sciences (NIEHS) is offering a grant under the American Recovery and Reinvestment Act to fund $5 million per year for the development of models to assess the health effects. The goal of this initiative is to develop reliable and reproducible methods and models to assess exposure, exposure metrics, and biological response to nanomaterials. The coordinated research effort will include diverse routes of exposure to nanomaterials and in vitro and in vivo models of exposure and response. This research is essential for the harmonization of research results, a scientifically sound basis for hazard assessment, and the safe design and development of ENM. This initiative supports the goals identified by the National Nanotechnology Initiative, Strategy for Nanotechnology-related Environment, Health, and Safety Research.